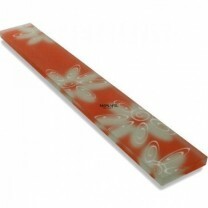 Mosafil ceramic mosaic tiles have a broad spectrum of application in the home or in a commercial setting. 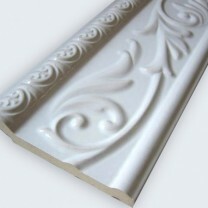 They will accentuate and beautify any room in the house, and we have a large amount of different styles for different needs. There are a wide array of various colours to choose from, and it is easy to pair many of them with one another to create many different combinations and potential decorating schemes. The variety of shapes and sizes allow for a high amount of elasticity when it comes to placement, as well as ease of installation. The colours that Mosafil mosaic tiles come in are vast, such as Mediterranean, azuro cyan, autumn, red orange, dark grey, beige, grey, brown, black, white, blue rose, yellow rose, cosmos brown and mars brown. 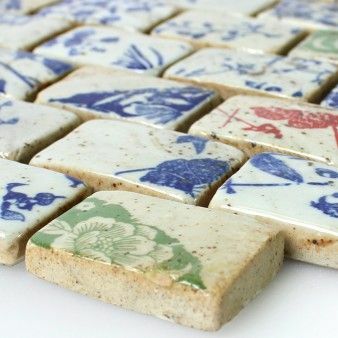 With so many colors, some of them bright and loud and some of them more subdued, earthy tones, any room in the house will find a perfect compliment with these tiles. 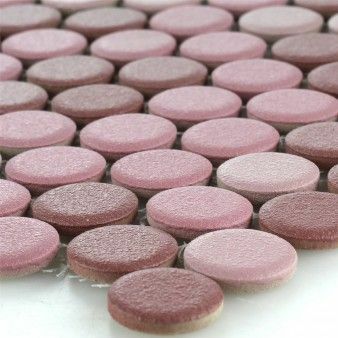 Our ceramic mosaic pebbles come in naturally-occurring shapes for a more organic feel, bringing the beauty of nature right inside your kitchen or bathroom. 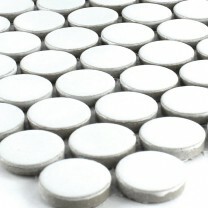 The ceramic mosaic button shapes are for a more uniform, but circular approach to tiling. The ceramic gold tiles in our collection come in a matte finish as well as a gloss, and also in square shapes and rectangular for convenience of application. There are also the ceramic mosaic unis, which have a more rounded edge and more sleek, black and grey matte finishes for a more sophisticated, edgy look. 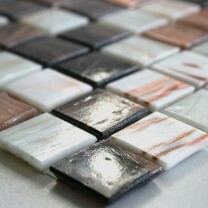 Mosafil ceramic tiles are also remarkable for their use in commercial settings. Whether it is a bar, restaurant, coffee shop, retail environment, office, or otherwise, these ceramic pieces will bring a relaxing yet dynamic atmosphere to any location. 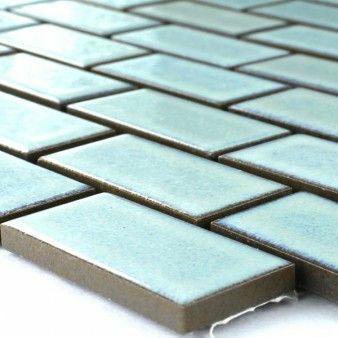 Spend some time here in the Mosafil ceramic mosaic store and find the tiles that are right for your kitchen, bathroom, living room, dining room, bedroom, or other areas which need that perfect finishing touch that ceramic brings. 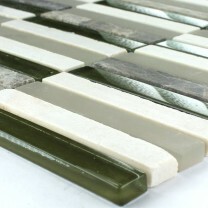 These quality tiles will last for years on end and continue to look fantastic, no matter how they are combined or used. The colours that Mosafil mosaic tiles come in are vast, such as Mediterranean, azuro cyan, autumn, red orange, dark grey, beige, grey, brown, black, white, blue rose, yellow rose, cosmos brown and mars brown. With so many colors, some of them bright and loud and some of them more subdued, earthy tones, any room in the house will find a perfect compliment with these tiles. Our ceramic mosaic pebbles come in naturally-occurring shapes for a more organic feel, bringing the beauty of nature right inside your kitchen or bathroom. 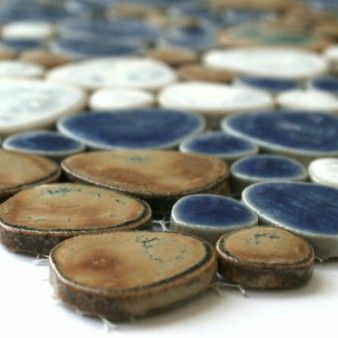 The ceramic mosaic button shapes are for a more uniform, but circular approach to tiling. 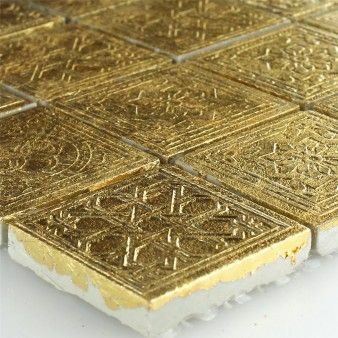 The ceramic gold tiles in our collection come in a matte finish as well as a gloss, and also in square shapes and rectangular for convenience of application. There are also the ceramic mosaic unis, which have a more rounded edge and more sleek, black and grey matte finishes for a more sophisticated, edgy look. 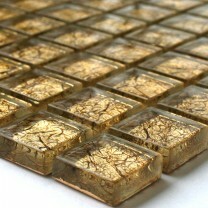 Mosafil ceramic tiles are also remarkable for their use in commercial settings. Whether it is a bar, restaurant, coffee shop, retail environment, office, or otherwise, these ceramic pieces will bring a relaxing yet dynamic atmosphere to any location.